If you think a tent is a draughty, cold and makeshift place, think again: This tent structure in Merzig is solidly built and offers comfort and convenience. 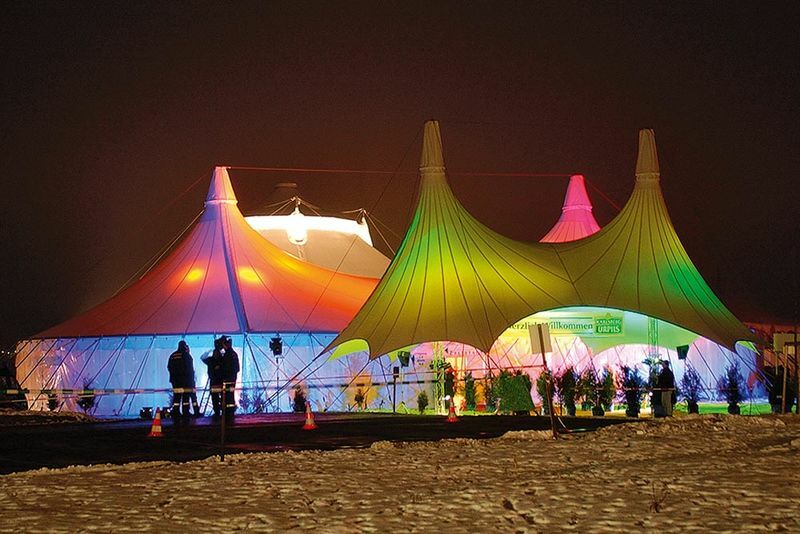 On the agenda: first-class shows that will make your evening in this “tent palace“ an unforgettable experience. Many of the performances can also be booked in conjunction with a dinner.